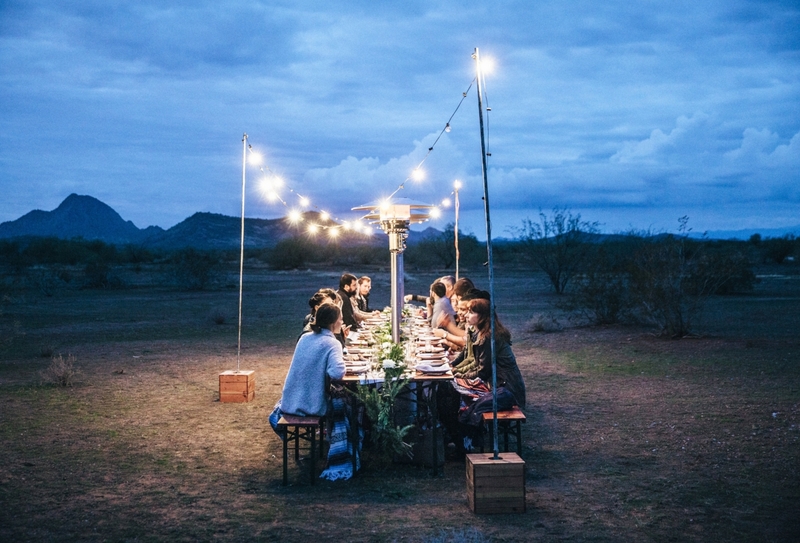 Cloth & Flame brings diners to the desert—literally—with their one-of-a-kind dinner series. Born from an idea driven by exploration, Matt Cooley and Olivia Laux&apos;s Cloth & Flame—the dining series&apos; name is a clever nod to the cloth envelope and flame used in ballooning (the couple is also the proprietors of Float Balloon Tours)—provides both ardent adventurers and gastronomes with the opportunity to dine in some of the most unique spaces across the Grand Canyon State. The series hosted its first desert dinner in December of 2016. 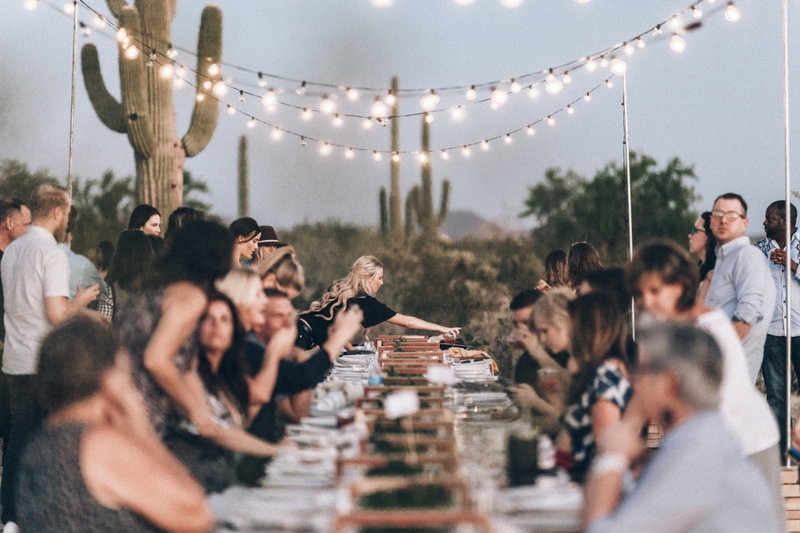 Since then, Cloth & Flame has set the table in locations throughout Arizona, the Southwest and beyond; from a hilltop in Carmel, California, to the picturesque Slide Rock State Park in Sedona and along the Arizona/Utah border. The entire experience begins at the pick-up location. Here guests can mix-and-mingle, grab a cup of coffee or enjoy other refreshments prior to departing. Once everyone has arrived, guests hop aboard a fleet of passenger vans or a &apos;70s Blue Bird bus and caravan to the destination. Upon arrival, revelers are greeted by a dressed long, chic wood table and inviting benches; and sometimes the sound of live music or a spirited welcome cocktail. The length of a typical dinner is about 3.5 hours from pickup to drop off. "We encourage our guests to sit back, relax and put away their phones and watches, and enjoy the experience for what it is," says Matt. Cloth & Flame&apos;s in-house culinary team is led by chef Aurore Yasinsky. However, the dining series has partnered with a number of talented local chefs from across the state and will continue to do so. 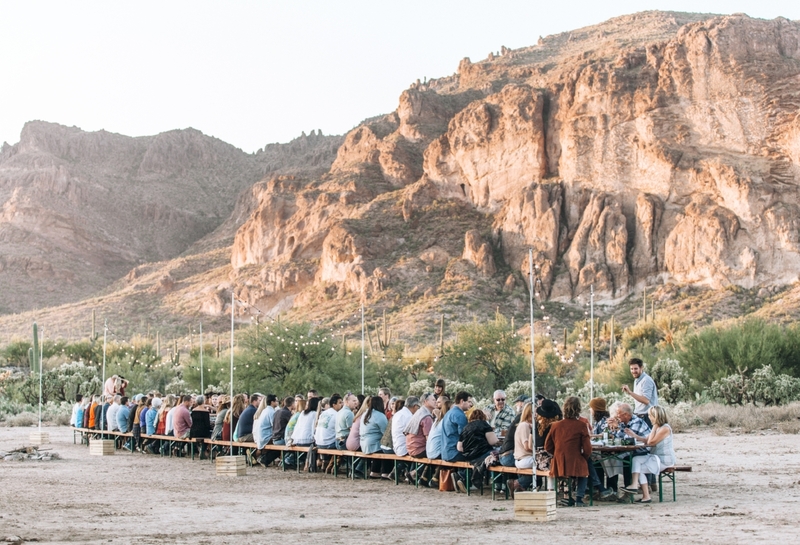 Each multi-course menu features a series of dishes prepared on location that are inspired by the outdoors, from desserts such as Arizona stone fruit cobbler to hearty entrees such as Arizona grass-fed New York Strip. On my dining experience, it was local chef Stephen Jones who was doing the cooking. Jones was preparing a meal with locally harvested ingredients such as citrus, ash-cooked beets paired with Sonoran white wheat berry and quail native to the region. The cooking was done in a humble, smoldering fire pit that was shoveled upon arrival and the food was prepared under a canvas tent. The desert landscape and the meal that was prepared was a pairing like no other—which makes these experiences one of the most sought after dining reservations around. "Every location has a story, and every location becomes a relationship. We&apos;re constantly seeking new and interesting places to host our dinners, and we&apos;re drawn especially to those places that aren&apos;t already established venues—places you couldn&apos;t just pay the venue fee and host a dinner yourself," said Matt. Cloth & Flame works with private landowners and conservation organizations to make private land available to guests of the dinner series. Additionally, Cloth & Flame gives 10 percent of proceeds back to a handful of organizations that manage or work to protect land, maintain it or educate the general public about land conservation, such as the Sonoran Institute, the Superstition Area Land Trust and Arizona State Parks. "We both grew up being tugged along by adventurous dads, and we&apos;ve both done a ton of exploring on our own. And Olivia and I got to know each other outside. We are both naturally adventurous but we brought it out in each other, tenfold. Every time we would get together it felt like a mission to explore, and we always packed a picnic. We are still the only people I&apos;ve ever seen eating by candlelight on the Papago Buttes," said Matt. This year, Cloth & Flame plans to extend their land partnership program, which currently includes 46 locations and counting around the West that are available to the dining series. Matt and Olivia will also be expanding their programming to include twice-weekly events such as desert dinners and brunches, as well as more adventurous small group dinners, which will include a hike to the dining destination. The duo can&apos;t still for too long; they are currently building a luxury camping resort, Tela Peralta, in the Superstition Mountains, which will feature 14 secluded luxury canvas cabins complete with bedding, master suites, private baths with soaking tubs, wood fire stoves, on-site fine dining and more. Lauren is a Phoenix-based writer and photographer. Follow her culinary adventures across the Sonoran Desert on Instagram at @hungryinphoenix. 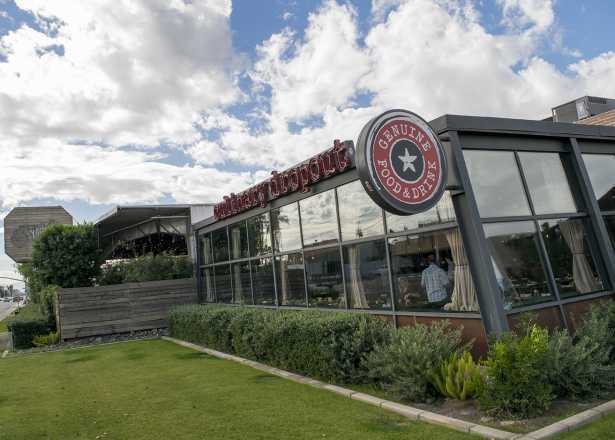 In Midtown and Uptown, eat/drink/shop gathering places thrive where strip malls once stood. Bite Magazine takes us to this downtown hotspot with more than 100 cocktails on the menu, ranging from adventurous to classics. 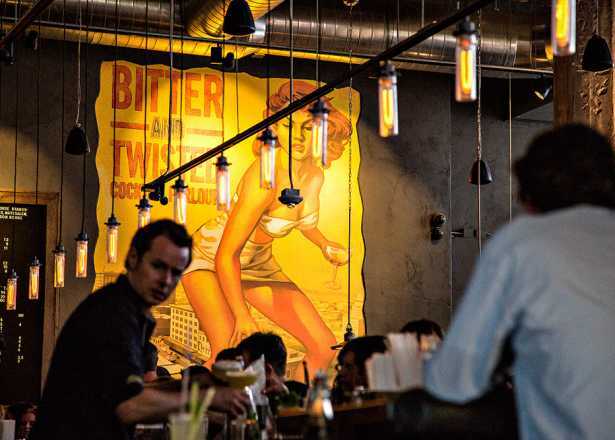 Phoenix's newest restaurant row has popped up on a short stretch of North 7th Street.